Earlier this week, Robert and I made the executive decision not to have a Christmas tree. This past month has been hectic for both of us work-wise, then we were away at the Hamburg Christmas Markets, and when we finally got around to thinking about a tree, it was cold, rainy and windy, and we just couldn’t bothered. 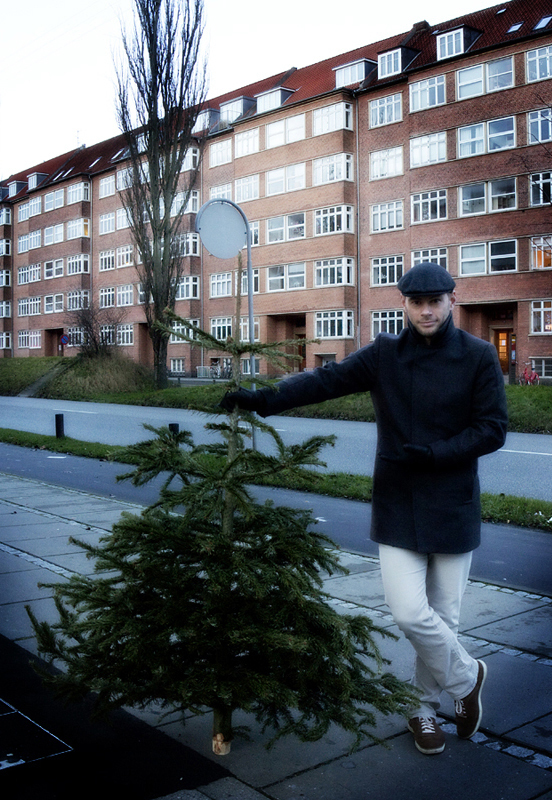 Plus, there are no cheap Christmas trees in Denmark, you pay by the centimeter and a decent size tree costs around $100. And so, he carried it home, we put some lights, garland and bulbs on it, and now this lovely tree will get to fulfill its destiny as our beautiful Christmas tree! I’m ambivalent about Christmas trees, but Robert was pretty bummed out about not having one… proof that sometimes the Universe sends us exactly what we need, when we need it. You are a living Charlie Brown! Also, I just wanted to tell you that I have embraced hygge to the fullest. Thank you for turning me on to the concept. I love the new blog. What a lovely Christmas story. (Reminds me of the children’s book “Mr. Willowby’s Christmas Tree”). Merry Christmas Sage and Dr. Robert.